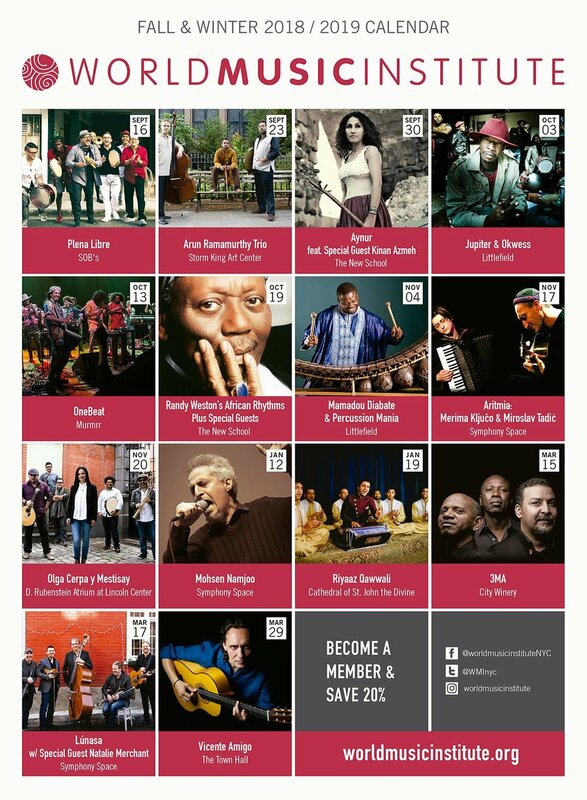 Fado Festival NY and NJ 2019. Design and logo by Diogo Montes. About Fado Festival NY + NJ Fadofestival.net produced and founded by Isabel Soffer/ Livesounds.org The annual Fado Festival NY + NJ is a celebration of the iconic Portuguese musical tradition that has ancient roots, but is ever moving forward. Manuel Lopes Andrade, a.k.a. Tcheka, was born on the 20th July 1973 in the port of Ribeira Barca, Santa Catarina district, on Santiago, the most African island of the Cape Verde archipelago. At a very early age, he began to perform alongside his father, Nho Raul Andrade, a highly popular violinist at the island’s village dances and festivities. Tcheka was in good hands. Every wrong note brought a rap on the knuckles from his father’s bow, but he learned quickly and soon made his mark at dances, weddings, baptisms and so on. However, the boy had other ambitions. At 15, he began to develop a more personal style, based on batuque. One of the first pieces he wrote, “Man’ba des bes kumida dâ”, gave a clear idea of the musical path he wished to follow. His aim was to widen the appeal of batuque, turning it into a beat that everyone would love. His songs are like brushstrokes, redolent of the originality of his art, heir to “batuque” (1) – traditionally played with the tchabeta (2) – the beat of African resistance that even the prohibition of drums and the repression of the colonial period failed to stifle. Moving on from his previous album, Tcheka revels in new audacities. He contracts and dilates – now slower, now faster, more impassioned or intimist – different beats of batuque, a genre the artist maintains “still holds many paths to be explored”. At times, morna chords blend in, at others, the style seems to lean towards funk influences, without ever ceasing to be purely Cape Verdean. You might call Tcheka as a sort of pop griot, a storyteller whose chosen backcloth is Cape Verde’s rural lands, its animals and plants, its rocks, paths, droughts and rains. His central character is the people of the archipelago, with their saints, holidays, customs and expressions, as well as universal themes of love, friendship, passing time, tragedies, hopes and joys. Tcheka is a key figure in the musical movement that has transposed the original beat of batuque to the strings of the guitar, and which – after breathing new life into Cape Verdean music – has established itself as a turning point in the evolution of the archipelago’s musical identity – a newborn infant, awaiting the recognition that baptism brings. 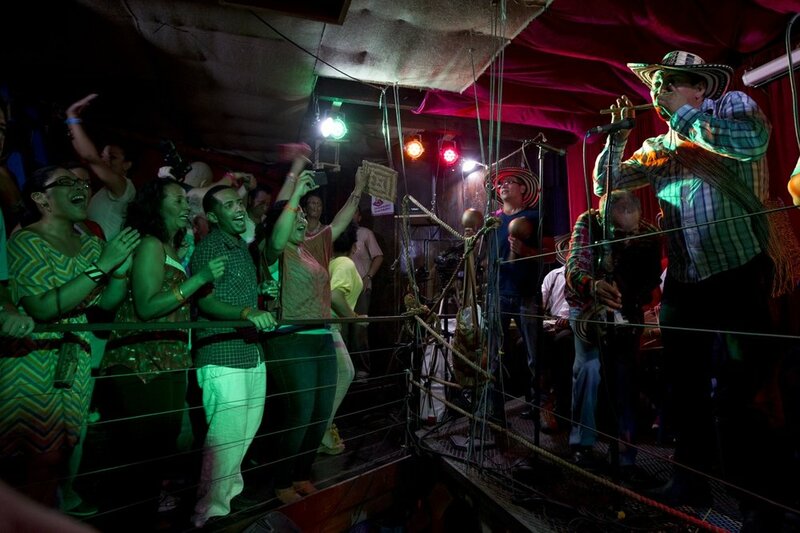 Some call the movement “batuque do quintal”, because it appeared at the “Quintal da Musica” (an active cultural forum in the city of Praia) in this first decade of a new century. But writer Osvaldo Osório, specialist in Cape Verdean culture, prefers to refer to these musical genres as “narrative songs”, because they always tell a story. Batuque & tchabeta For a long time, drums were banned by the Church and the Portuguese colonial authorities, but Cape Verdean women found a way to get around this prohibition. Batuque, a beat specific to the island of Santiago in the Cape Verde archipelago, conveys the collective memory and identity of a people. Batuque was first played after work in the fields, traditionally by women. Sitting in a circle, they tapped on a “tchabeta”, a bundle of cloth, normally made of piled loincloths that they rolled up and held between their legs. Depending on the thickness and compression of the fabric used, these cloth drums produced a variety of sounds. Batuque provided an accompaniment for “finaçon”, a vocal style that the women improvised to suit their audience and the occasion. Following African tradition, the singers commented on village events, celebrated farming festivals, births and marriages, and commemorated deaths. Sometimes one of them would enter the “terrero” (the inside of the circle) and dance. Today, these inflexible traditions have been radically updated. Firstly, the women – who hardly ever wear loincloths now – make their drums from plastic bags. Stacked and folded in the customary way, they produce a wide range of sounds (listen to the Terrero album). Secondly, young men like Tcheka are adopting these traditional styles, batuque and finaçon, their childhood lullaby, to assert their African identity more actively. Los gaiteros de San Jacinto folkloric Afro Columbian music. The intergenerational band, was established in the 1940's will be performing at Terraza 7 in Elmhurst June 28th and 29th led by sons and family of the original members, with additional dates in the US and Canada this summer. 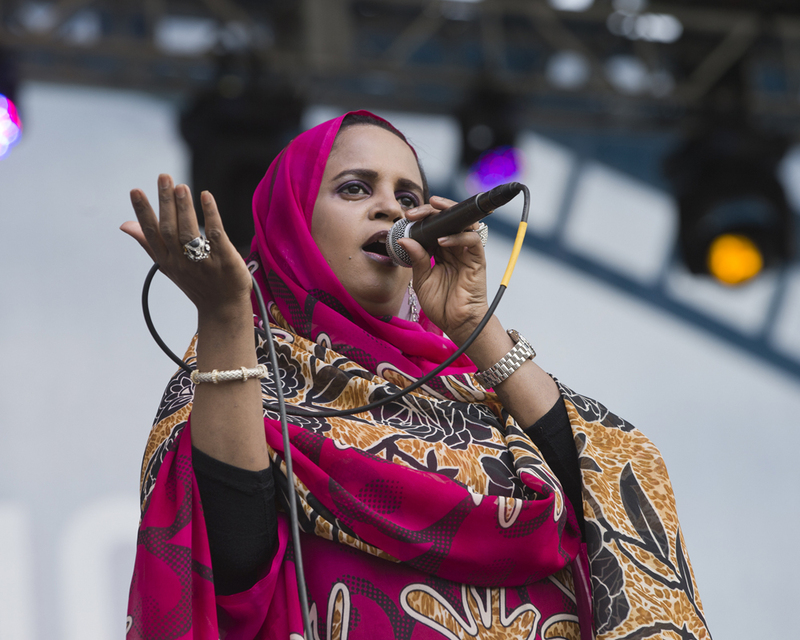 Noura Mint Seymali will be at the Lincoln Center atrium on June 7th and at the Bonnaroo Festival, Manchester Tennessee June 10th. Noura’s vocals and Jeich Ould Chighaly’s guitar make this a must. Noura and Jeich, as do most musicians in Mauritania pracice their craft in traditional settings, weddings and ceremonies for the most part, both come from Moorish griot tradtional music backgrounds. What these two master musicians bring to the audiencein their quartet is their personal vison informed but not shackled by their backgrounds.Their interaction on stage is fascinating, with Noura’s vocals soar and set the scene for Jeich’s solos arecompletelyabsorbing and take unanticipated turns heighten by reverb pedals which lead back to Noura. They are backed by bassist Ousmane Touré,who toured with Noura’s mother, the legendary Dimi Mint Abba and drummer/producer Matthew Tinari.